THIS is the fourth part of a series of 5 English translations of French publications regarding the Benalla affair. Benalla had worked clandestinely at the European Patent Office (EPO) before the so-called ‘Benallagate’ broke out. The investigation was also extended to the offences of “forgery” and “use of forgery” after a report by the Presidency of the Republic. Alexandre Benalla was taken into custody on the morning of Thursday 17 January in the investigation into the use of his diplomatic passports after his dismissal from the Elysée this summer, the Paris prosecutor’s office said, confirming information from the Le Parisien. This investigation, opened on 29 December, in particular for “breach of trust”, “unauthorised use of a document proving professional status” and “carrying on an activity in conditions likely to create confusion in the mind of the public with the exercise of a public function”, was also extended on Wednesday 16 January to the offences of “forgery”, “use of forgery” and “improper obtaining of an administrative document” after a report from the Presidency of the Republic, the public prosecutor specified. President Emmanuel Macron’s former collaborator has already been at the origin of a political storm last summer, after being identified on videos violently arresting demonstrators in Paris on May 1, 2018, while he was present alongside the police as an “observer”. For these facts, he has been charged twice. The Benalla affair had bounced back in December, after the revelations of Mediapart and Le Monde that the former Elysée employee still had diplomatic passports despite his dismissal and that he was travelling on business with African leaders. This information led to the opening of a new preliminary investigation at the end of December, and the resumption of the work of the Senate committee investigating this case since July. On Wednesday, before this committee, the director of the cabinet of President Patrick Strzoda said that after his dismissal from the Elysée, Mr Benalla had used diplomatic passports some 20 times between 1 August and 31 December 2018. 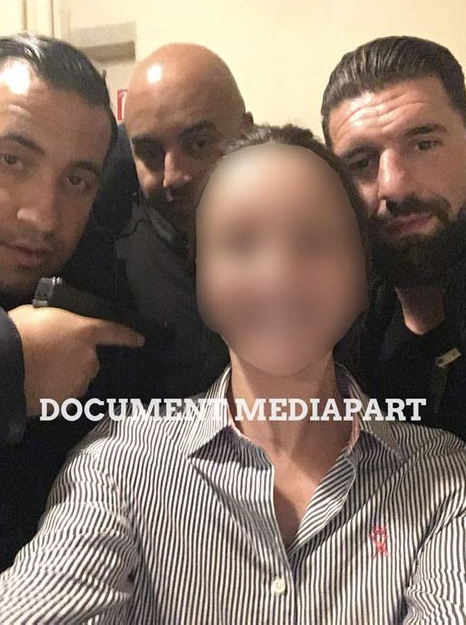 Mr. Strzoda also reported that Mr. Benalla had been in possession of two service passports, the first issued in 2016, “well before” his arrival at the Elysée, the second on 28 June 2018. Both were invalidated on 31 July 2018. The Director of Mr. Macron’s Private Office added that the request for the second service passport had been made by Alexander Benalla to the Ministry of the Interior by a letter headed by the Chief of Staff of the Elysée, but “typed” and unsigned. In other words, “we suspect that Mr. Benalla made a forgery,” Mr. Strzoda said, before stating that the case had been brought to court. These statements contradict the statement made by Alexandre Benalla at his own sworn hearing on 19 September that he had left the diplomatic passports in his Elysée office after his dismissal. The former head of mission is to be heard again by the Senate’s committee of inquiry on Monday 21 January.